We African communities in Victoria have seen recent media reports in the last few weeks about some of our young people in the community. The African Australian community as a whole is just as shocked as the broader Australian community in relation to these inexcusable incidents. We speak with one voice in condemning the offending behaviour that we have seen reported in the media. Our thoughts go out to the victims of these incidents including those who saw their dwellings and other properties damaged, as well as the police officer who was attacked whilst doing his work at High Point Shopping Centre. The African-Australian community will not defend criminal or antisocial behaviour, whether this come from our own youngsters or any other members of the Australian society. As we are confronted with this unfortunate situation, it is important to remain focused on what really matters and to identify what the real problems are and the best way to solve them. We should not be distracted by name calling, political point scoring or media sensationalism in trying to sell stories at all cost. The issues that are leading some of our young people to offend are complex and they need to be addressed as such. There is no magic bullet to solving these issues overnight. We acknowledge the work being done by our police force on the ground and we want Victoria Police to know that the community will continue to work with them to address any offending behaviour. We acknowledge the effort being made by the Victorian government to assist the African Australian community to develop an Action plan to increase the African community’s access to more social and economic opportunities. We note the federal government’s interest in these issues and urge it to consider a bipartisan approach and work with the African Australian community. We especially call on the majority of our young people who are law abiding individuals with dreams and aspirations for success to become more active and to take steps to help prevent antisocial behaviours by their peers. They need to work hand in hand with community leaders, faith leaders, youth leaders and other positive influencers in the community to assist their peers. The broader African Australian community will continue to work together with our youth in partnership with all relevant stakeholders. 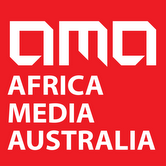 We ask the media to demonstrate more responsible reporting on these difficult issues affecting a small portion of our community and balance their reporting with the many other positive stories that are happening within the African Australian community. A majority of African Australians have great stories to tell about their lives and the positive contribution to Australia and look forward to working with the media to showcase these success stories.